On October 1, 2011 my husband and I hopped in the car and drove out to Marlborough, NH so I could give my presentation, “The Everyman’s Guide to Protective Magick: Religion, Folklore, and Myth” at Muse Gifts & Books. I was excited to see the store and was nervous because Muse has hosted talks from some very well known and respected authors; such as Raven Grimassi, Ellen Evert Hopman, Dawn Hunt, and Christopher Penczak. I knew the staff and their customers were accustomed to having access to some of the best workshops around! I have to tell everybody, I’m so freakin’ jealous of the folks who have easy access to Muse Gifts & Books! They have great speakers pretty regularly and they host “Tea and Tarot” (where customers come in for a beverage and a tarot reading from a variety of readers) regularly. Muse also has an impressive selection of books and tarot decks from a wide variety of publishers and tons of beautiful trinkets (including a gorgeous statue of Kwan Yin several feet tall!). Everyone at Muse, staff and customers, were so nice and enthusiastic. I had a wonderful time there! I also did some shopping! Now originally I wasn’t going to write about my trip to Muse Gifts & Books because how boring to read me talk about, well, me talking. However I was so blown away at how fantastic Marlborough was I wanted to give you guys a bunch of reasons why you should visit! 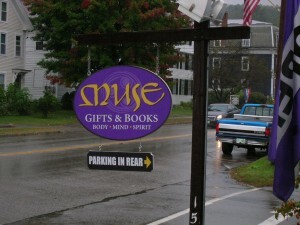 First, obviously, is Muse Gifts & Books. What a great store! See my phat loot from my shopping trip! 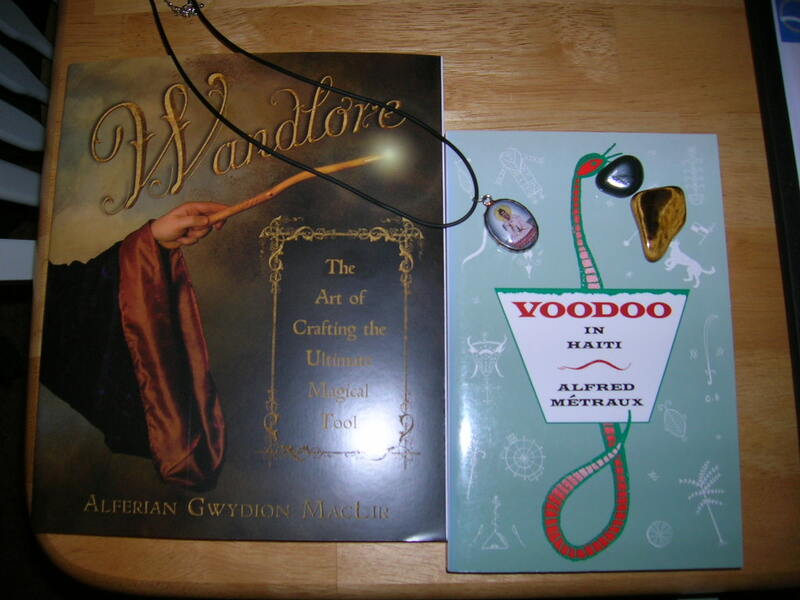 Books, Kwan Yin necklace, Bloodstone, and Tiger's Eye (not shown, a bottle of Infused Oil from Cucina Aurora). But before we went into Muse, Jim and I quick popped into a vegetarian cafe called Zeppelin & Kaleidoscope. While there I had one of the best muffins I’ve ever tasted. It was a raspberry lemon muffin that wasn’t too sweet and was fresh out of the oven. Yum! After the event at Muse, Kevin (the owner) took myself and Jim out for a meal at Lee and Mt. Fuji. This place had a full Chinese cuisine menu along with a full sushi menu, and I spotted some other Asian specialties buried in there too! I ordered a sushi roll I had never encountered before, a Garden Roll. It was raw tuna wrapped in cucumber with roe. It was served with a faintly sweet, slightly vinegary sauce. Because of the shape it was served on an embarrassingly long plate and I had to actually cut up the pieces with a fork and knife to eat it. Perhaps not great for one’s dignity, but it was a tasty treat! Before we left town Kevin heartily recommended a stop in at store called Inkubus. I, and I’m sure my credit card company, are glad he did! It’s difficult to describe Inkubus. I guess at its most basic you could call it a goth clothing store, but that might make you think I’m talking about a Hot Topic store. Inkubus is what most Hot Topic stores wish they could be! There is a stupidly huge selection of men’s and women’s clothing, ranging from t-shirts (I bought one with a Day of the Dead sugar skull on it!) to high end dresses. They have loads of accessories: purses, shoes, lunch boxes, ashtrays, make-up, hat, and more, more, more! 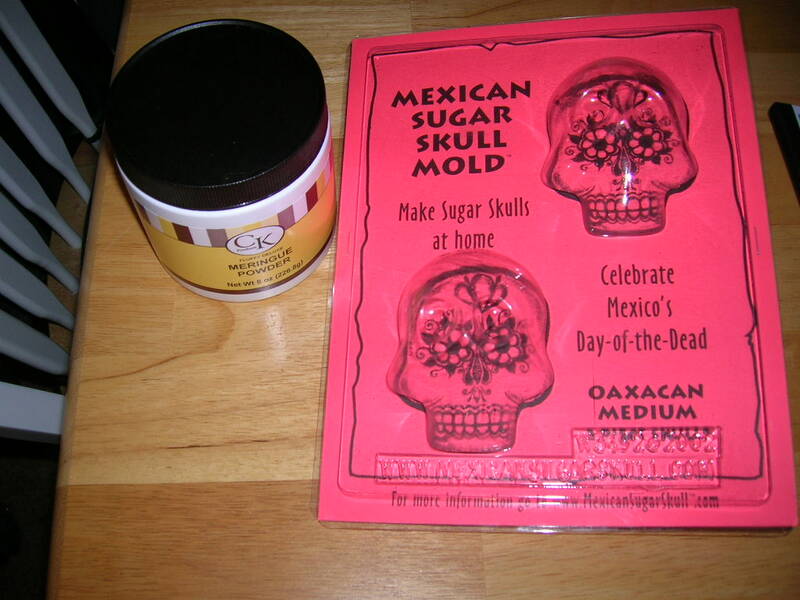 Most importantly, to my absolute shock and pleasure, they had this for sale…. If I attempt to make them, I’ll be sure to let you know how it went! Marlborough, NH is a two and a half hour drive for me to get to, so a bit far to try and visit on a regular basis. With just the little bit I saw and experienced I’m envious of those who live closer than that. And if you do live close to Marlborough and you don’t visit, you’re an idiot. Next postWhat is New Age Music? And the New Paul Avgerinos Album.